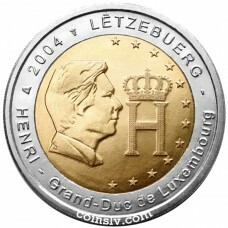 2 euro Luxembourg 2004 "Monogram of Grand-Duke Henri"
Worldwide shipping. Costs depends from country, weight and carrier. Payment by cards, bank transfer, PayPal, Paysera, etc. Payment by cash is possible only at order pick up in Riga or Moscow. COINSLV.COM – coins web shop. 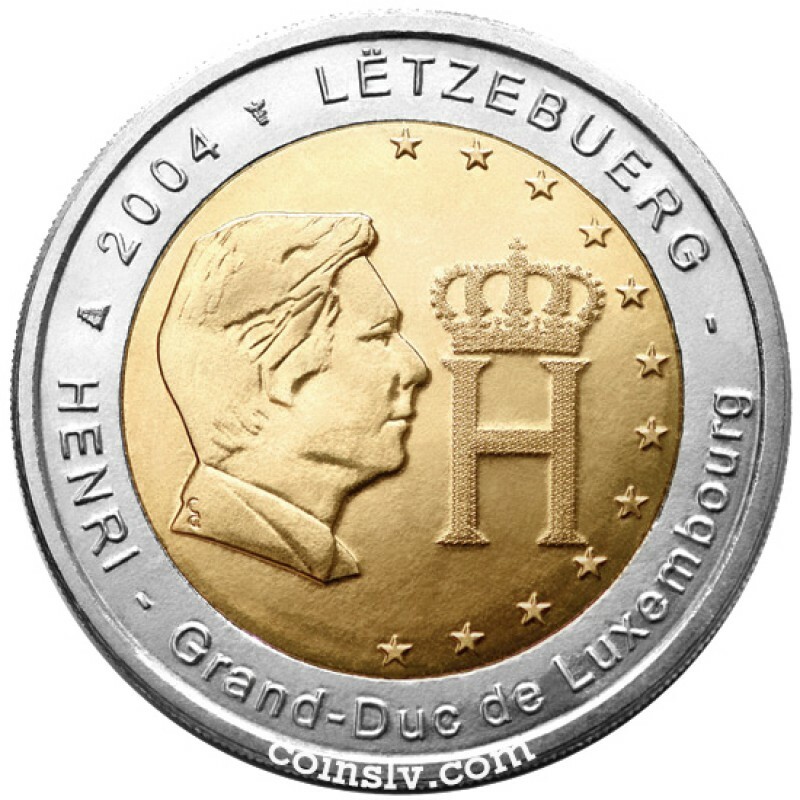 Numismatic web store COINSLV.COM offer commemorative 2 euro, coins of Latvia, Russian rubles, silver and many other coins - best price and fast worldwide delivery.